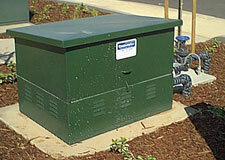 Custom Pump & Power, Inc. was founded in August 2001. It is owned and operated by three individuals: Mike Parilo, Ron Gibbens, and Pat Dittmer. The three officers have combined experience of more than 40 years in pump and electrical work. 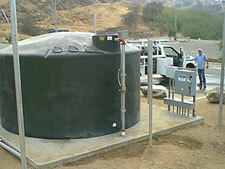 The company specializes in the mechanical and electrical side of irrigation systems. We are renown and respected in the industry for our strong capabilities in design, installation and service of complete irrigation pumps and their associated controls. The offices are located in Newcastle, North Highlands and Sacramento. We are current members of California Landscape Contractors Association (CLCA), International Association of Electrical Inspectors (IAEI), and American Society of Landscape Architects (ASLA) - Sierra Chapter. We hold a California Contractors License in two classifications: C61/D21 - Specialty Classification for Machinery and Pumps, and a C-10 - Electrical Classification License.